These days, several individuals opt for e-commerce websites to make various purchases. Furthermore, they use debit or credit cards to pay for their purchases. This results in the need to bridge the gap between the banks and the e-commerce vendors. Understanding this need for connecting banks and online sellers, several service providers developed payment gateways. These gateways are used by not only large e-commerce vendors but also various home-based business owners. When an individual purchases any item online, he uses his debit or credit card or Internet banking to make the payment. The e-commerce website provides this information to the payment gateway service provider. In the case of a net banking transaction, the service provider directly engages with the buyer's bank for the collection of the payment. These gateways are also used by Small and Medium Enterprise (SME) owners. 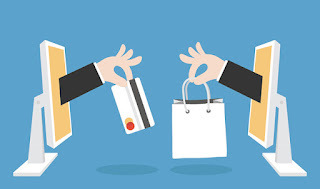 When the SME owner inputs the bank and card details to pay for his purchase, the e-commerce website transmits this information to the gateways. Once the service provider confirms the accuracy of the details, the payment is made from the user’s account to the seller’s bank account. The entire procedure comprises several steps. Here are eight steps involved in the working of the payment gateways. Although there are many steps involved in an online transaction, the entire procedure is completed within a few seconds. Such a gateway directs the online users away from the vendor’s website. The customers are redirected to the gateway’s page to complete the payment procedure before returning to the e-commerce site. A major advantage of such gateways is that sellers do not need a Merchant ID because confidential details are not required from their websites. The buyers are taken to the payments page without leaving the vendor’s website. A form is used when the users click the payment button. Users need to input their card or the Internet banking details on this form maintained on a secure server. On completing the payment, the buyers are taken back to the main page. The payment process through such gateways is faster and user-friendly. Most of the gateway service providers levy a per-transaction fee. Some of them charge a monthly usage fee. Searching for a gateway that charges reasonable fees is recommended to ensure the transactions are cost-efficient and affordable. Businesses that offer paid memberships to users for accessing content or subscriptions must work with service providers that provide automated payments for recurring transactions. If they do not work with such a gateway, the customers will have to manually complete the transaction each month, which may be inconvenient to them. It is recommended that online vendors evaluate the appearance of each of these payment gateways on their websites. Furthermore, they must determine the ease of using the service provider’s platform. Merchants must consider the total number of steps their buyers will have to undergo right from placing their order to receiving confirmation of a successful payment. This ensures customers do not quit mid-way because of a long purchasing procedure. To get an idea of how the entire process will work, business owners may ask the gateway service providers to show them a demo. Moreover, reading comments, testimonials, and feedback provided by past users of the gateway will also help businesses make an informed decision.